Fantasy Grounds is an application acting as a virtual online gaming table primarily intended for pen and paper style narrative role playing games. 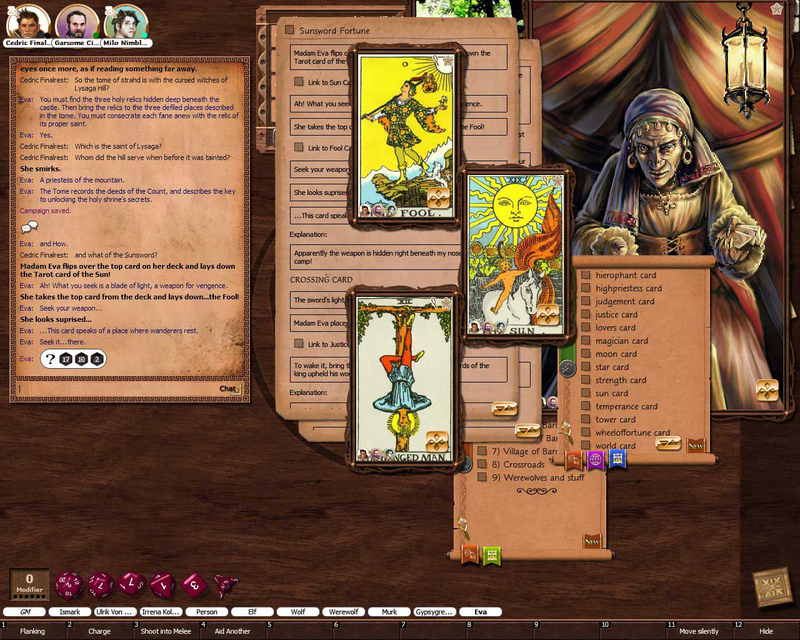 Fantasy Grounds is designed to perform many of the things you can do while playing at a conventional gaming table and move it online. 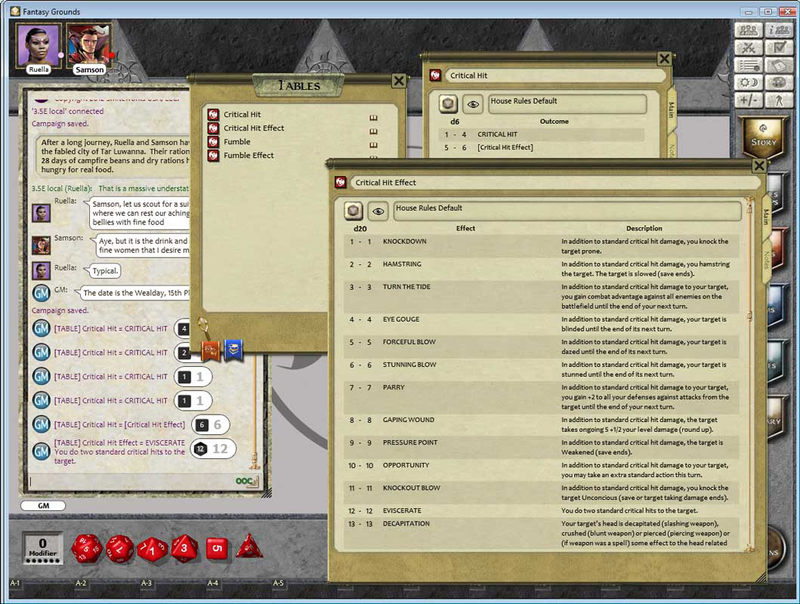 Run games as the gamemaster or take part as a player, the application provides all the necessary tools to communicate, manage information and perform tasks such as rolling the dice or moving tokens around a battlemap. 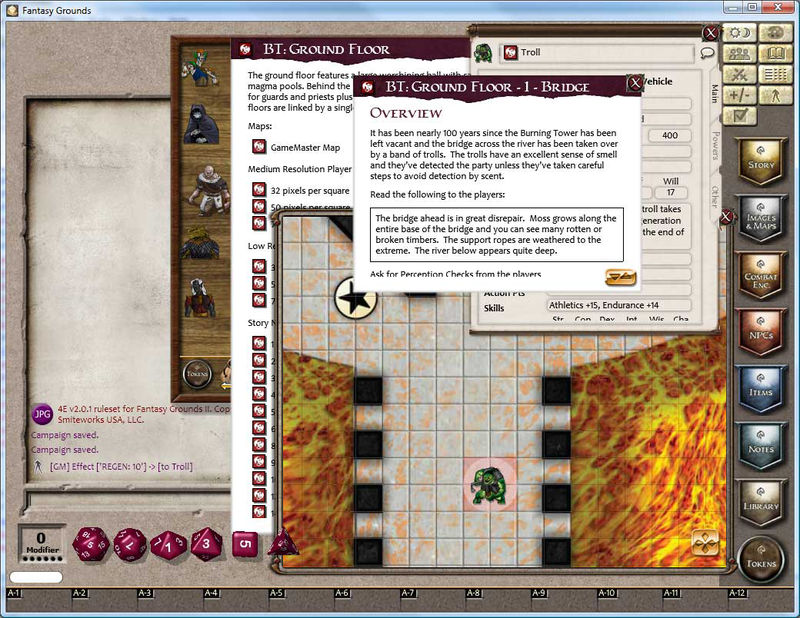 Released in 2004, Fantasy Grounds supported basic functionality for D20 style RPG games. 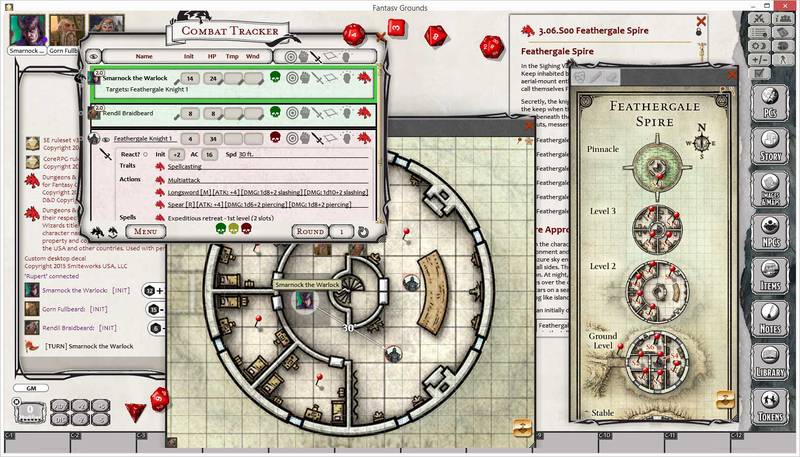 Doug Davison acquired the company in 2009 and acquired licenses for official content for nearly a dozen game systems, including Savage Worlds, Call of Cthulhu, Rolemaster Classic and Castles & Crusades. 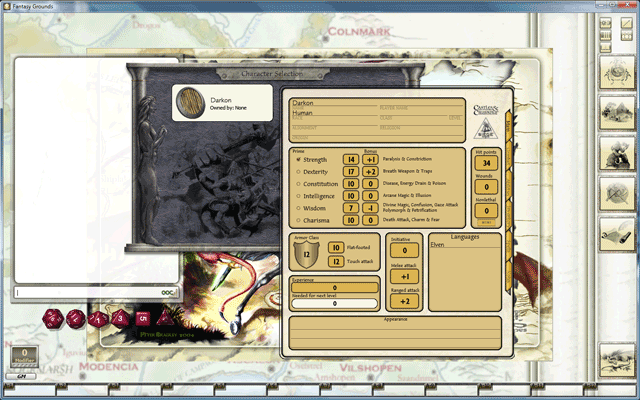 John Gregory joined the team and brought with him an advanced ruleset for D&D 3.5E and later D&D 4E. 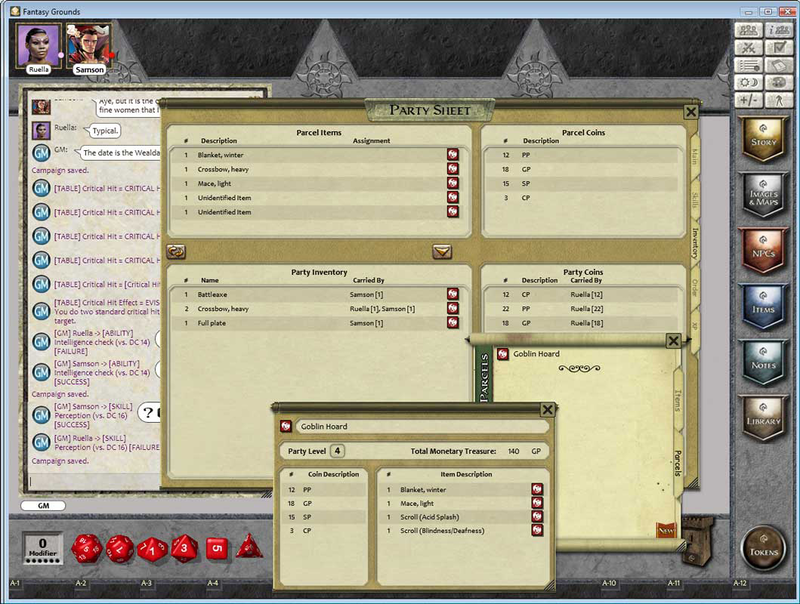 With the release of Fantasy Grounds 2.9, significant new functionality was opened up to all rulesets via a new CoreRPG base ruleset. 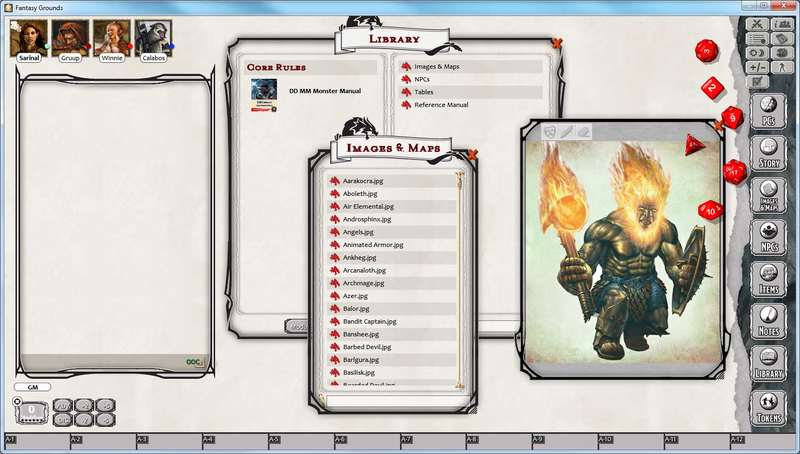 Other rulesets could now be layered on top of this base template to provide numerous campaign management functionality without having to re-write them from scratch. 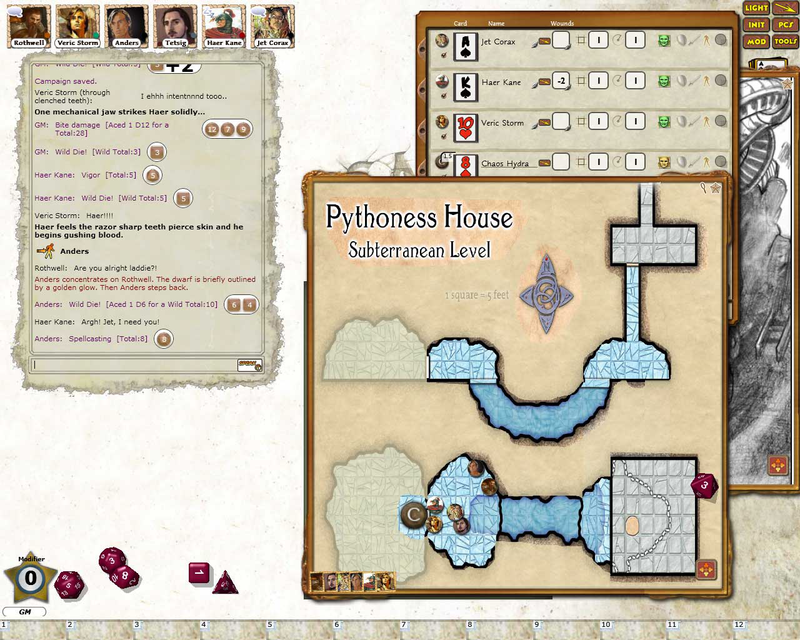 A new Pathfinder ruleset was spawned from this base, as well as re-writes to numerous rulesets, such as Call of Cthulhu. 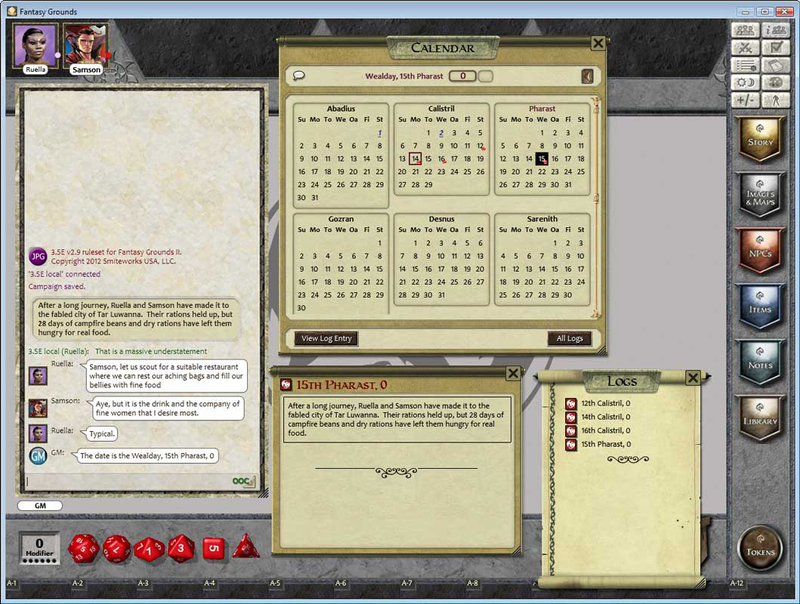 In May 2014, Fantasy Grounds launched on Steam to become the first virtual tabletop with a presence on the highly ubiquitous platform. 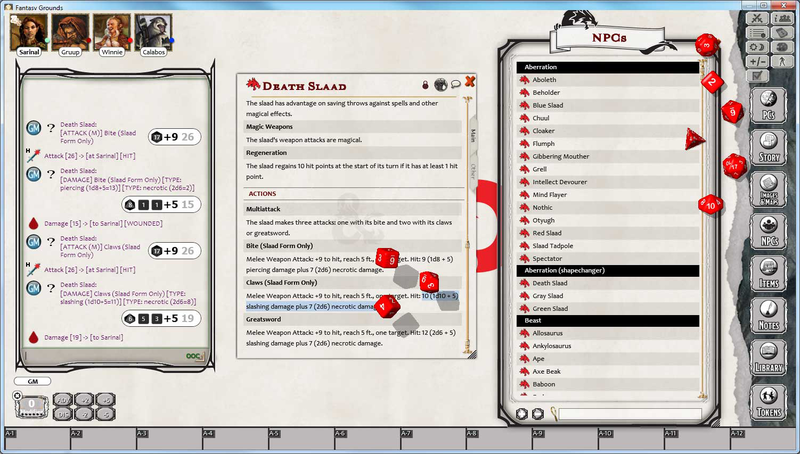 In July 2014, a ruleset was launched to support the game mechanics for D&D 5E. 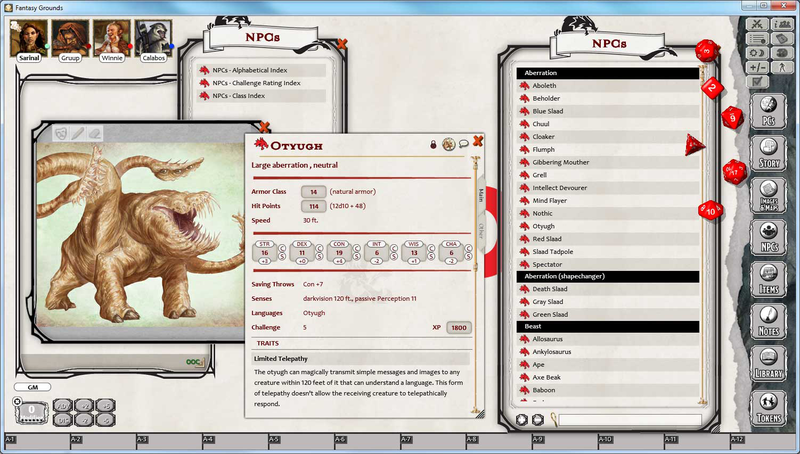 An official license for D&D fifth edition was acquired in April, 2015. 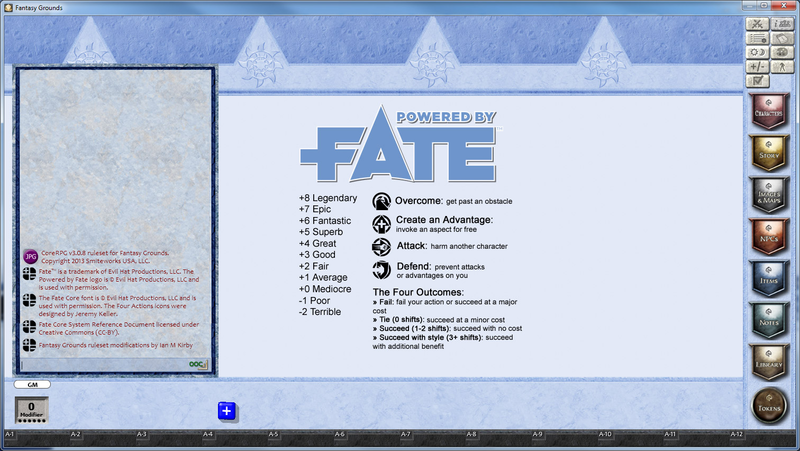 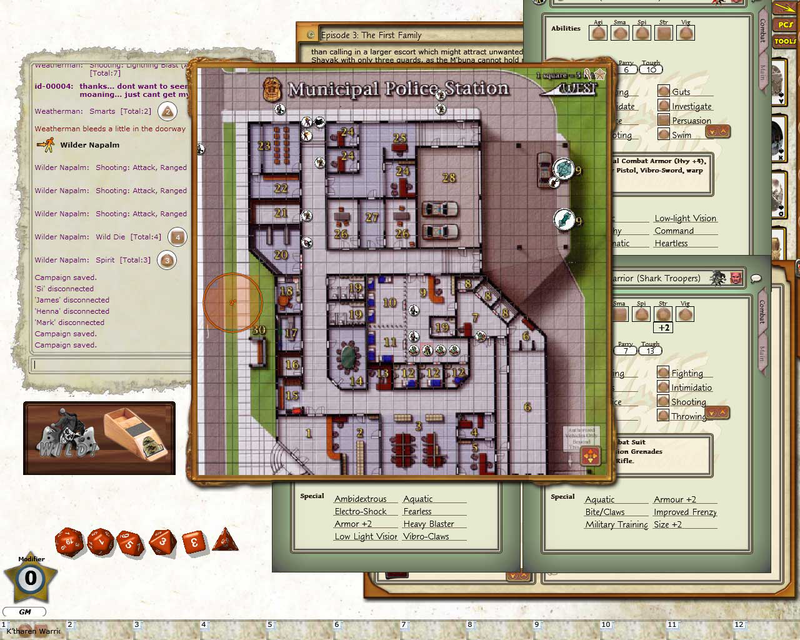 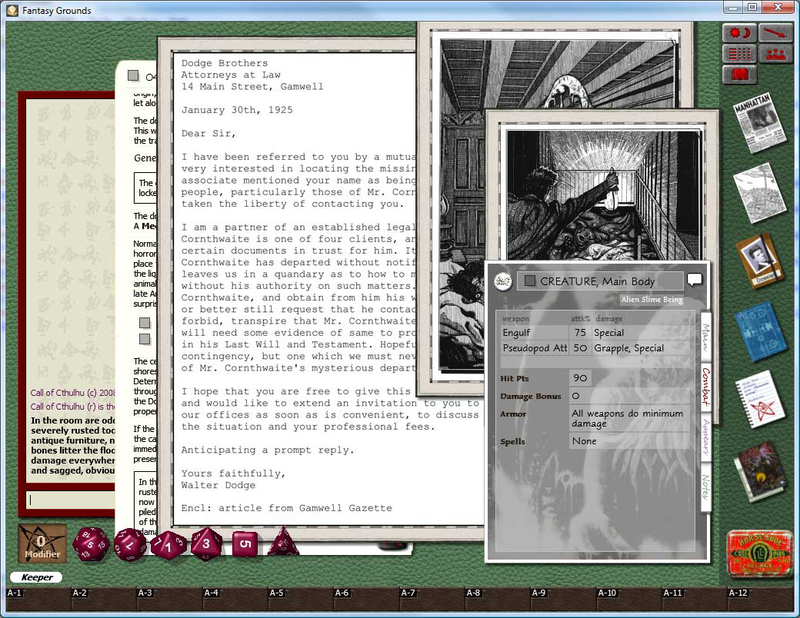 A user interface specifically designed to capture the spirit of pen and paper roleplaying. 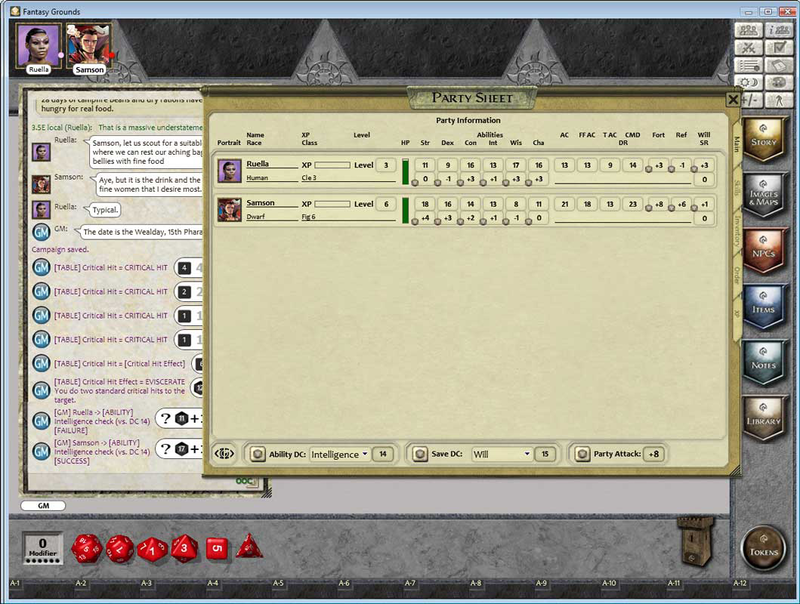 The Gamemaster can hand out sheets, maps, and notes for any or all players to interact with. 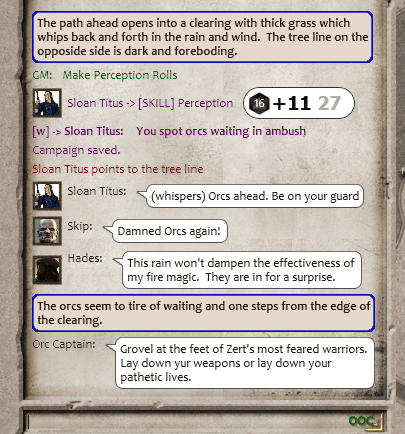 Role playing is easy with dedicated chat features. 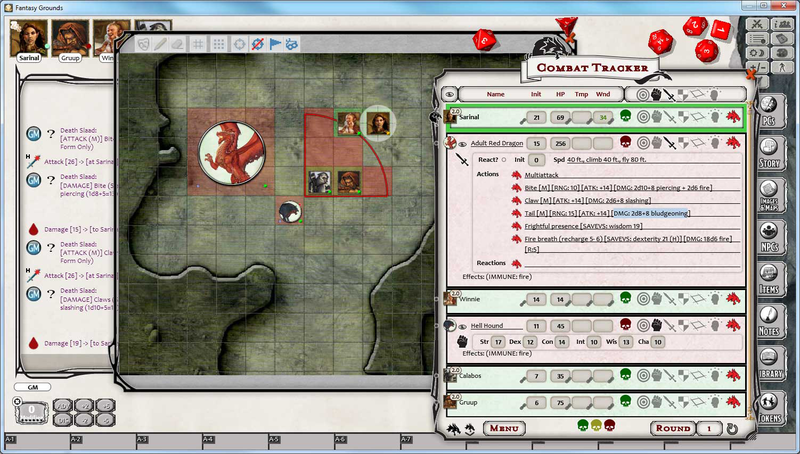 Use hex or square grids to handle tactical combat. 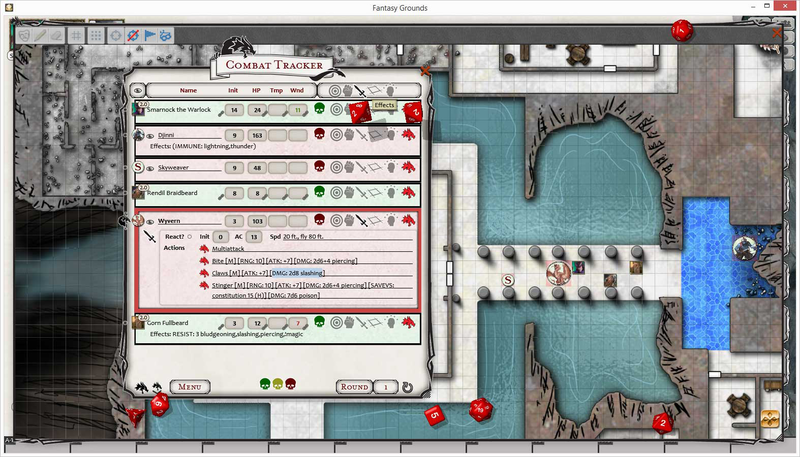 Use advanced automation to get through combat more quickly.